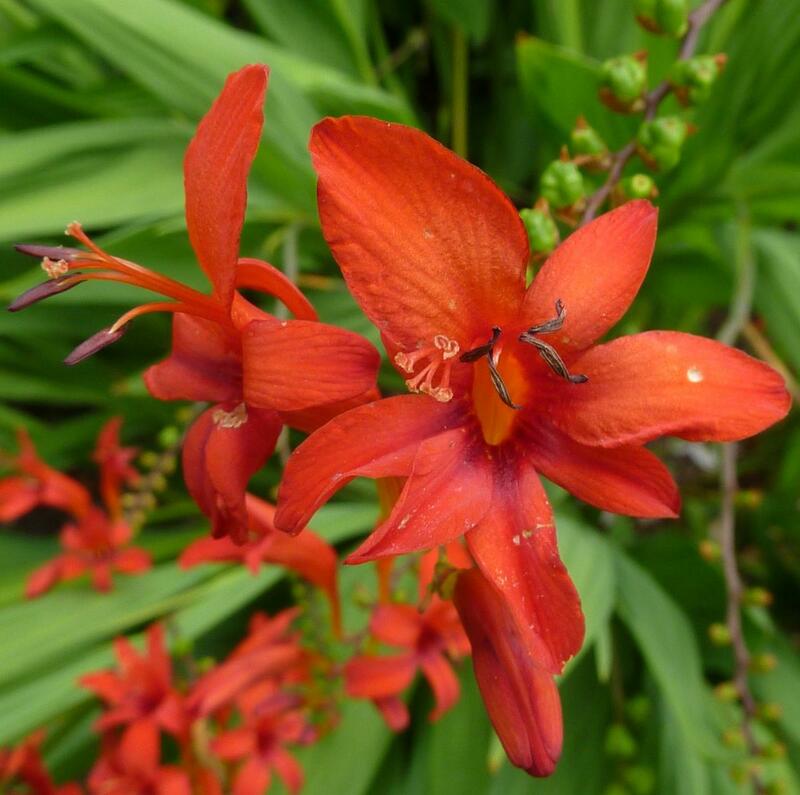 Crocosmia ‘Lucifer’ will lift your garden if it is heading for a midsummer dip, there's nothing like Crocosmia Lucifer’s scarlet blooms to brighten it up. This bulbous perennial is devilishly good and grows in generous clumps of pleated sword shaped leaves and throws out long rigid stems supporting fans of tomato-red flowers in abundance from mid-July to the end of summer. It is a big bold hardy perennial to 1.2m in height and one of the most reliable of the Montbretias -and a superb cut flower. 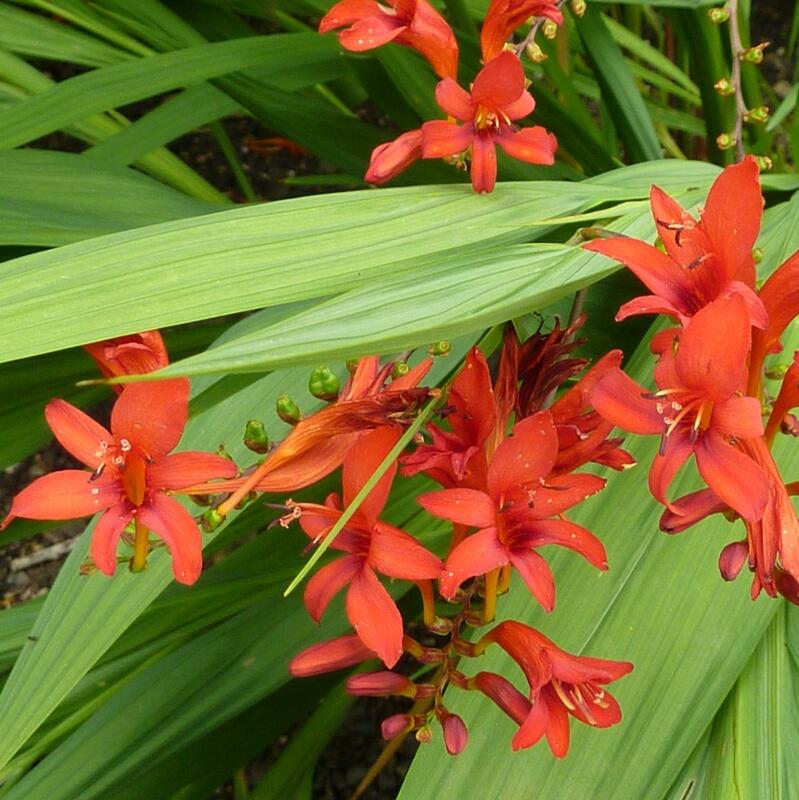 Crocosmia ‘Lucifer’ does best with some sun and fertile, humus-rich soil.